Changed in version 1.16.0: Non-scalar start and stop are now supported. The axis in the result to store the samples. Relevant only if start or stop are array-like. By default (0), the samples will be along a new axis inserted at the beginning. Use -1 to get an axis at the end. 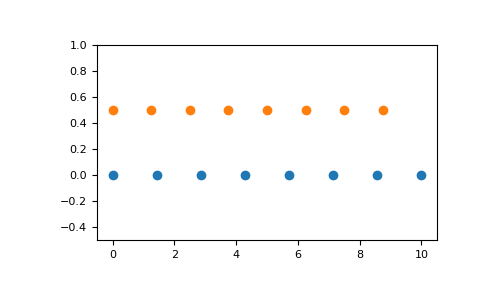 Similar to linspace, but with numbers spaced evenly on a log scale (a geometric progression). Similar to geomspace, but with the end points specified as logarithms.